Moisturizing make up Perfectionist Youth-Infusing Makeup SPF 25 promises hydration, brightening and improving adult skin and medium coverage that adapts to the natural color of the skin and it is available in a 21 shades. Contains ultra-fine color pigments and pearlescent pigments that reflect light to brighten the skin. Reduces fine wrinkles, protects against UV with SPF 25, is oil-free, does not clog pores and does not causes acne, it is tested by dermatologist and by ophthalmologist, is it non-perfumed and leaves in the final optically satin skin. It cost $ 45.00. Hydratačný makeup Perfectionist Youth-Infusing Makeup SPF 25 sľubuje hydratáciu, rozjasnenie a zdokonalenie dospelej pleti a stredné krytie, ktoré sa prispôsobí farbe prirodzenej pokožky a je dostupný v 21 odtieňoch. Obsahuje ultra jemné farebné pigment a perleťové pigmenty odrážajúce svetlo na rozjasnenie pokožky. Redukuje jemné vrásky, chráni pred UV žiarením faktorom SPF 25, neobsahuje olej, neupcháva póry a nespôsobuje akné, je dermatologicky a oftalmológom testovaný a neparfumovaný a vo finále zanecháva opticky saténovú pokožku. Stojí $ 45.00. Pump Perfectionist Makeup on back of hand. Tap Sculpting Foundation Brush into makeup. Gently spray it with water, then start sculpting. Long-term hydration is guaranteed. Aplikuj makeup na chrbát ruky, z chrbátu ruky na štetec a jemne navlhči vodou a potom aplikuj na pleť. Dlhodobá hydratácia je zaručená. Ktorý je váš naojbľúbenejší podkladový makeup? Ja som si oblubila Mary Kay. I want this one now! must be such a great product! It must be a great product and I like that it has SPF! 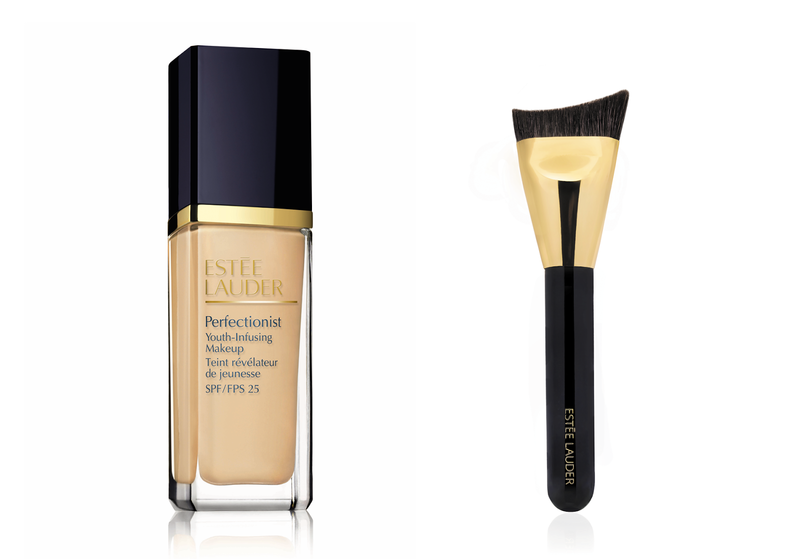 I never had oportunity to try anything from Estee Lauder so this foundation is my biggest wish! <3 The best that I tested is Ultra HD Invisible Cover Foundation from Sephora.